Have a property to rent in Niagara-on-the-Lake? After a long, hot summer, all the signs are in the air that the fall season is upon us. The days are crisper and cooler, the leaves are beginning to change and the Toronto Blue Jays are heading to the postseason for the first time in a very long time. The fall season is a great time to come and enjoy all that Niagara on the Lake offers. As one of the premier Niagara Homes brokers, we would like to offer the following fall highlights. There may be no better place on earth to see the bright colours of fall than in the Niagara on the Lake region. With just the right amount of moisture and perfect temperatures, the Niagara Peninsula offers breathtaking fall colours. Come join us in late September and early October on the Niagara Sunset Cruise/Fall Colour cruise for a guided tour of the area which is sure to capture the magic of the fall season. The tours include not only friendly and knowledgeable guides. but also a lunch menu featuring great local produce and cuisine. 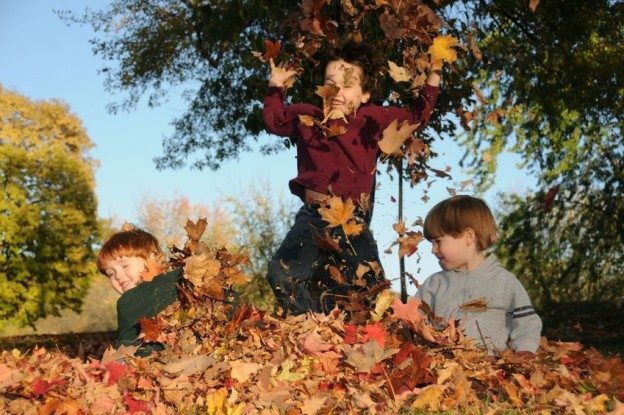 Besides an opportunity to marvel at the fall colours of the area and to sample and enjoy fine local cuisine, there are great fall activities for children as well. Come on out to enjoy a fine fall afternoon. Fall is also a great time to visit your favourite local winery. A visit to the Niagara on the Lake region is not complete without one of these tours. Frogpond will be offering tours of its organic winery throughout the month of October. Come by to enjoy some of the finest organic wine in the region and browse the farmers market and local artisans while at the winery. There are other wineries that offer great wines and tours during the fall season as well. For more information on local winery tours, please visit the events page on the Niagara on the Lake website. If wine is not your thing, there are also tours that highlight other fine foods artisans of the region. Come take a tour of local chocolate makers and visionaries and sample some of the regions finest artisan chocolate in October. Between viewing the fall colours of the region and sampling some of the finest wines in Ontario, remember to enjoy some local culture and cuisine at one of the many fine dining experiences offered throughout the area. There are great local artisans and places of interest tucked away in the unique and beautiful neighbourhoods found throughout Niagara on the Lake. Come enjoy the fall season, marvel at what may be your next dream house and see why Niagara on the Lake is not only a great place to visit but also a great place to call home. This entry was posted in Blog, Uncategorized on October 23, 2015 by Kevin Stokes. Kevin acted for us in the purchase of a home. We could not have asked for better service. He acted very professionally and went to great lengths to ensure we had, and understood all the information we had to deal with. Should we need a Realtor in the future, Kevin will be our first choice and we would not hesitate to recommend him. Thank you so much for all your help, you made this major event easier.